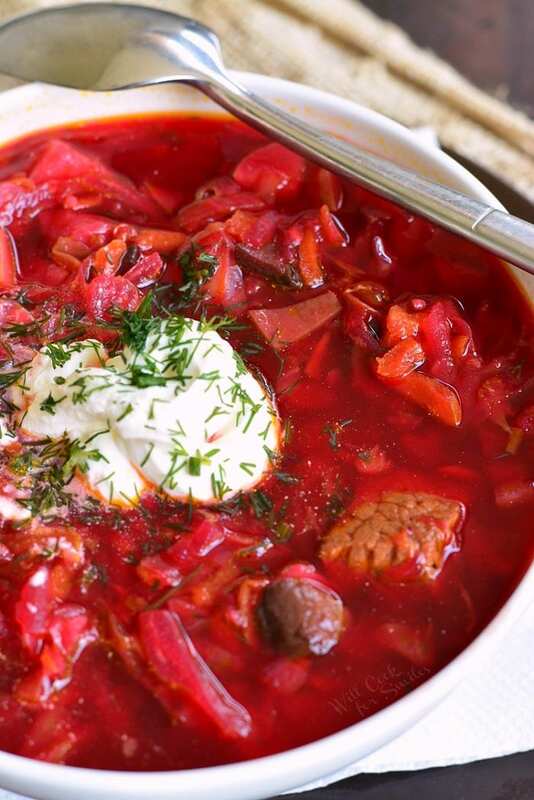 This classic Russian Borscht recipe is healthy, nutritious, and comforting soup for colder season. Traditional Russian beet soup made with cabbage, beef, and many other vegetables. Beets give this borscht a beautiful color and a beautiful flavor. This cabbage soup is a staple in every Russian household and it’s one of the first recipes that people learn how to make. 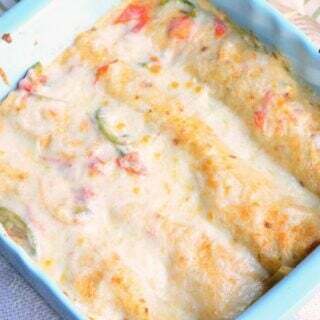 It was definitely one of the very first recipes that I learned. Being a total potato lover, learning how to make potato recipes was a priority to me but I dove into soups right after that. I remember using my mom’s old cookbook, where she wrote recipes while she was in culinary school, to practice making recipe. It’s too bad I didn’t bring that book with me when I moved to United States but I was way too young to appreciate keepsakes like that. I’ve been making this soup for almost 20 years now and it comes out slightly different each time. The reason for that is simple and it’s because you can play around with using different veggies. 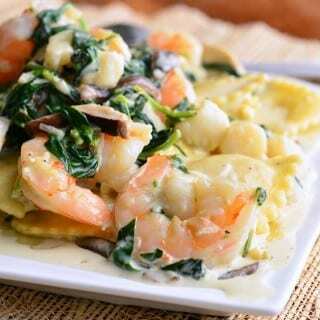 Sometimes, I add mushrooms, which I love, sometimes I make it slightly healthier and leave out potatoes. Either way I make it, it’s always perfectly comforting and delicious. 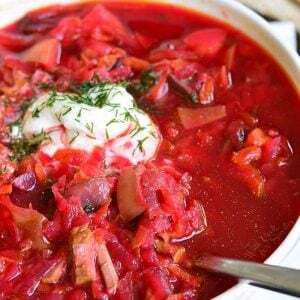 Borscht soup is a traditional Eastern European soup made with beef, cabbage, beets, and other vegetables. It’s known for the beautiful ruby-red color that comes from adding beets. 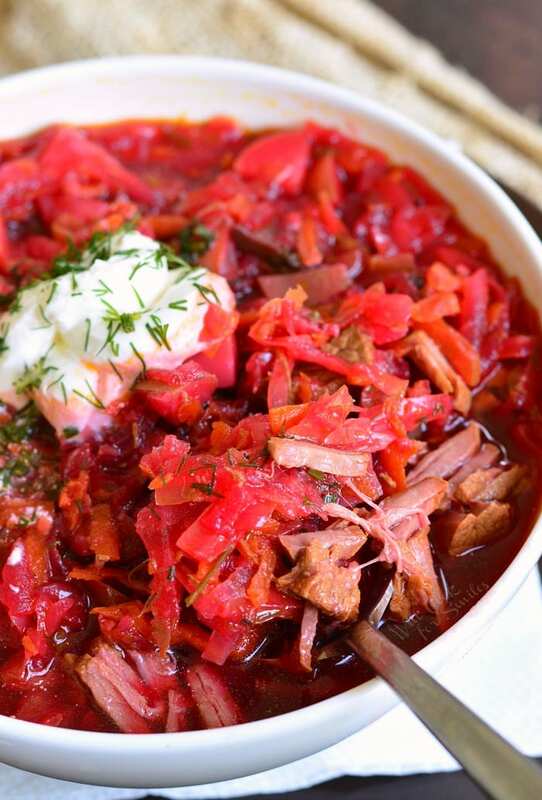 The main ingredients that always go into borscht recipe is cabbage, beets, and beef. 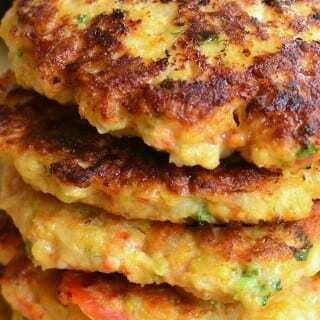 You can variate some other veggies that you put into it. Mushrooms and potatoes could be left out if you wish to make the soup healthier or just don’t like mushrooms. Try adding leek and parsnips to your soup. There are a couple of other variations of Borscht too. One is white Borscht that has no beets. White Borscht has a lot more of a cabbage taste and is a little more on a sour side. Another popular version of Borscht is one that is made with sorrel and no beets. Sorrel is a sour herb and it looks somewhat similar to spinach. I adore sorrel and it’s juicy, sour taste. It gives a great taste to soups. Unfortunately, it’s not a popular herb where I live so it’s extremely hard to find. 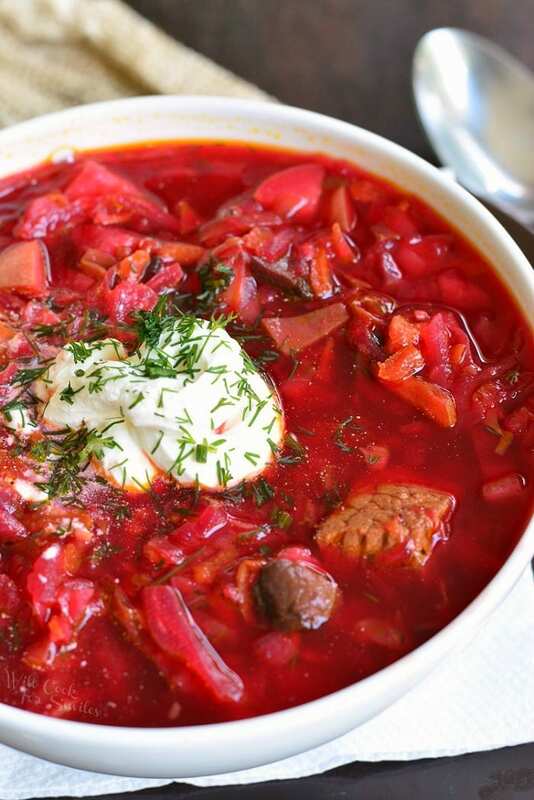 How to make Russian Borscht Soup? When choosing beef for soup, I usually go for stew beef. 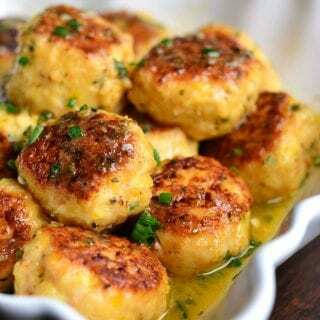 It’s inexpensive and since meat will be cooked for a long time, it will be tender. To make this soup, begin by preparing simple homemade beef stock. Cook beef (and bones) in a pot of water over low heat for 2-4 hours. Flavor stock with coriander, bay leaves, and a few whole peppercorns while cooking. Cook whole (not peeled) beets in the pot with stock over the last couple of hours. Time for cooking beets will depend on their size. Take them out and set aside once cooked through. Strain stock and discard bones, bay leaf, coriander, and peppercorns. Keep the beef and stock, of course. Start by sauteing veggies over medium heat before adding meat and stock. Do not add beets until the very end. Don’t forget sour cream and fresh dill weed for the most authentic experience. Preheat the pot over medium-high heat. Add a little bit of canola oil. Cut big, hard chunks of fat off beef, if any. Add beef and bones to the pot and seat for a couple of minutes. Add water to the pot and bring it to simmer. Add bay leaves, coriander, and whole peppercorns. Lower the heat to low. Loosely cover with a lid (so that there is a good amount of room for steam to escape) and cook for 2-4 hours. About half way through of cooking meat, add whole, unpeeled beets to the pot. 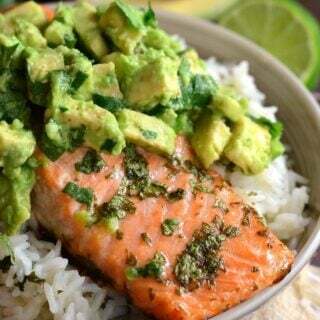 Cook until done, take out and set aside. Strain off the stock and discard bones, bay leaves, coriander, and peppercorns. Set meat and beef aside. 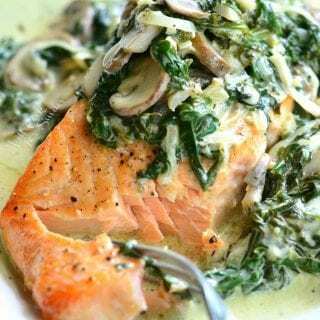 Prepare your veggies: slice onions, mushrooms, and cabbage thinly. Grate carrots on a large grater, and cube potatoes. Peel garlic and set aside. Set whole cooked beets aside to cool. Using the same pot, set the heat to medium and add a couple of tablespoons of canola oil to the pot. Add onions and carrots and saute until softened. Smash garlic, mince and add to the pot. Stir well. Add potatoes and mushrooms. Cook for a few minutes, stirring occasionally. Add cabbage, stir and cook until cabbage softens. Add tomato paste, sugar, salt, and black pepper. Stir well until tomato paste is evenly mixed. Cook over medium heat for 25-30 minutes. Stir occasionally. Taste to make sure you have enough salt and pepper. Adjust to taste. Peel beets and grate them into the soup on a large cheese grater. Stir and your soup is ready to eat! Garnish with some sour cream and fresh dill weed. So good! Thanks for the amazing recipe! Should the coriander be ground or whole? HI Jennifer! I’m so sorry that I missed your questions. Coriander is actually whole while preparing the broth. Please check your information about this dish! Actually it is ukrainian dish. I would be pleased if you edit this. Borsch did originate in Ukraine, but I named my recipe based on the one I learned from my mom and where I grew up. 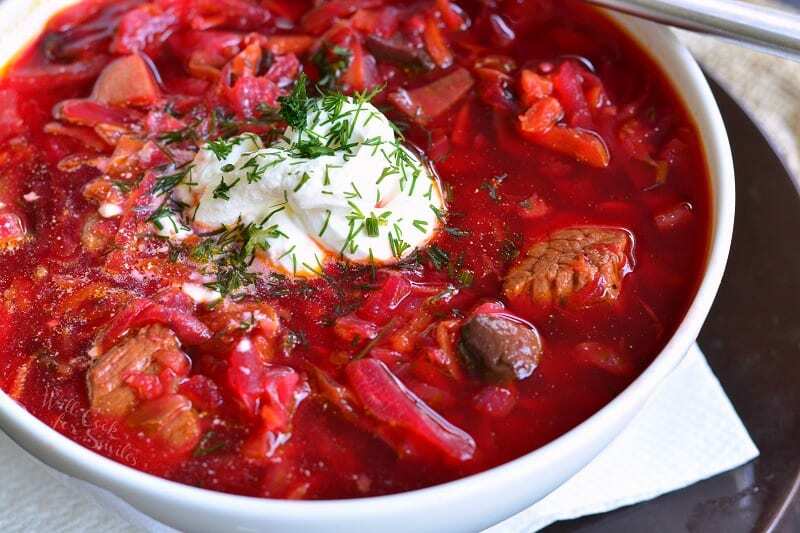 There are many, many versions of borscht now that differ in one ingredient or another and they all have a specific name. Rather that get technical, this is the recipe that I make at home and that I learned from my family, that’s why I name it this way.